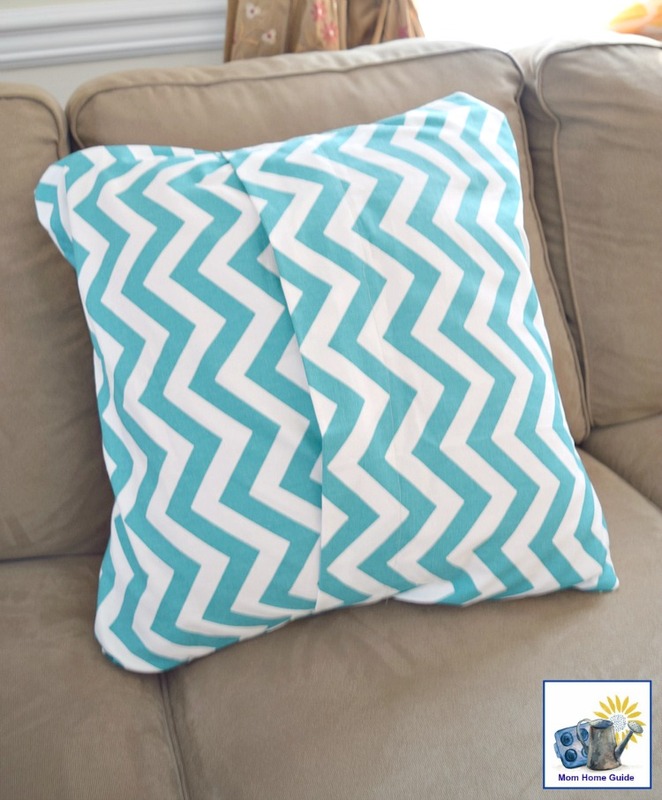 If you are looking to change up your home’s decor, making an envelope pillow or an envelope pillow cover is an easy way to go! I only have minimal sewing skills, but I have been able to quickly sew multiple envelope pillows for my living room’s sofa! 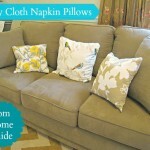 I got a new microfiber sofa for my home’s living room sofa about two years ago, and I love dressing it up! Throughout the seasons, I either make new pillows for the sofa or I make envelope pillow covers for the throw pillows I already have. 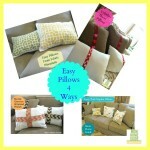 Recently I made envelope pillow covers for the big throw pillows that came with my sofa. 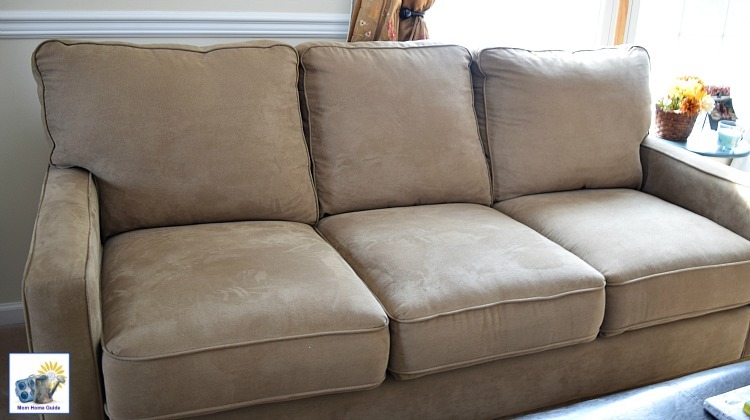 As you can see, the living room sofa looks pretty plain without some envelope pillows! I really love the look of the pillows on my home’s living room sofa! I like how my DIY envelope pillow looks against my sofa’s pretty yellow and white fluffy throw! 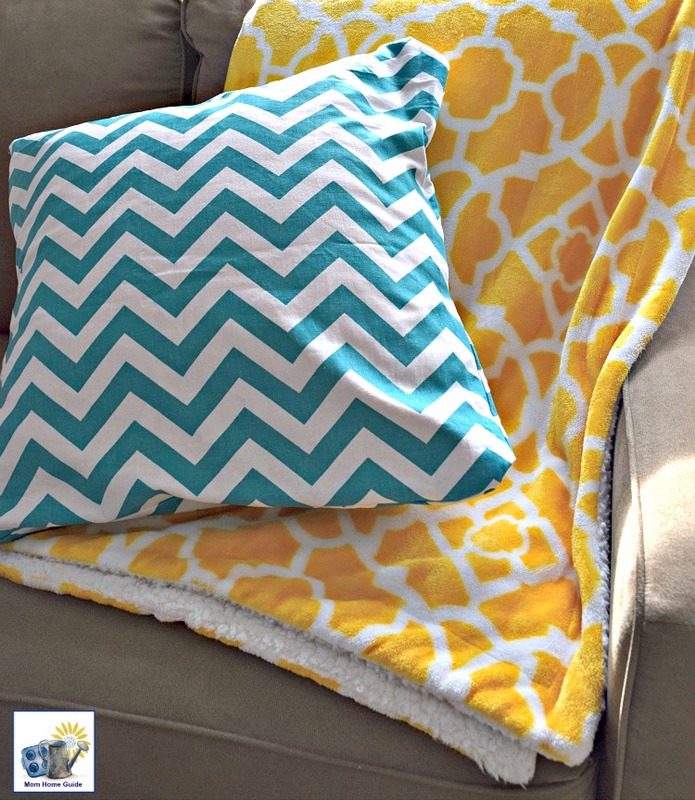 Cut the front fabric piece of fabric for your pillow cover the same size as your pillow or pillow form, but an 1 extra inch for both the length and width. I made my newest envelope pillow covers as a project to relieve my boredom while I was on crutches after my bunion surgery. So, I didn’t get any step-by-step photos to share with you. 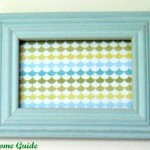 Grandma Bees Recipes shows very good step-by-step photos. 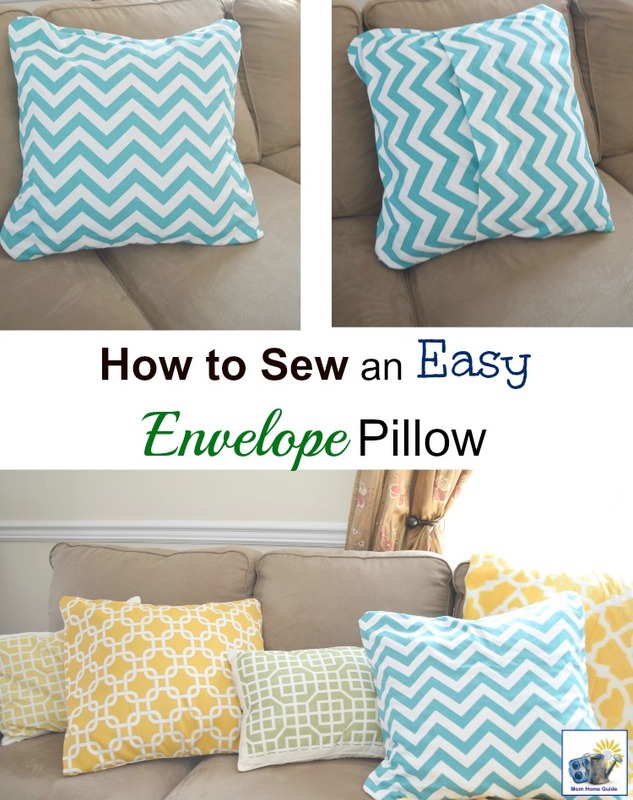 Her measurements are slightly different from mine, but her photos are great for very clearly showing the steps for making an envelope pillow, if you would like to take a look. I am actually heading to my local fabric store with my daughters tomorrow — I might look for new fabric to make envelope pillow covers for my sofa’s throw pillows for SPRING! This post was shared at Freedom Fridays, Creativity Unleashed Link Party, Project Inspired Link Party and the Pin Junkie Pin Party. I’ve been wanting to update the pillows on our couches in the family room. I need to remember to come back to this when I’m ready… I want to do b/w and I know Hobby Lobby has a lot of nice b/w fabrics! Sounds like a fun project, Carrie! I can’t wait to see it when it’s done! 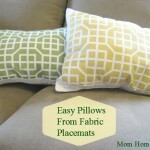 I love the fabric you chose for these envelope pillows! Last year, I made my first set of envelope pillows. Yours came out so pretty. 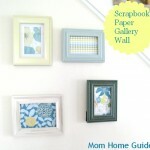 I can’t wait to see what type of pillow covers you make for spring! Thanks, Tee! 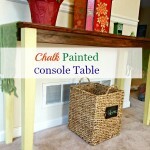 I love the beautiful Valentine’s Day decor that you came up for your home this year!